and learning in general. 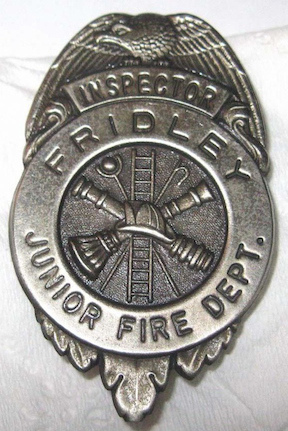 In her class, I studied and passed my Junior Fridley Fire Department examination with the best grade in the school. Because I was the only student to “ace” the test, I received a gold colored badge with the title “Chief” at the top. The other kids all had silver badges. Hmmm – I wonder what ever happened to that gold Chief badge. I also didn’t miss a single day of school during my fourth-grade year, so I received an attendance award for that. So, going into fifth grade was exciting, I was sure it was going to be another great year, but first, summer vacation. Mark and Rodney Sabo (?) were my closest friends. They lived six or so houses down from me on Second Street. One summer day Mark, Rodney, and I were “messing around” in an old abandoned house on the block. We knocked down a hornet’s nest and ran as the hornets chased us. (I don’t know, they may have been yellow jackets.) Anyway, Rodney fell as we were running and hornets were all over him. They stung Rodney a couple dozen times and he was swelling up like a balloon. Mark and I got him home and his mom took him to the hospital. He was all right, but we all got into trouble for “messing around” in that old house. I’m pretty sure I heard my grandmother tell me to “wait until my mother gets home. My mother was the disciplinarian in our household and she knew how to use the hairbrush…. Another really good friend in the fifth grade was, Patty Hopkins. She lived on Main Street. Her back door was across a vacant lot from the front door of my house. She and I were kind of nerdy/smart, we just didn’t know it was “nerdy” at the time. We’d studied together, played with the telescope I had gotten, played with a chemistry set, practiced magic tricks, and did other nerdy/geeky things together. I was also in Little League during the summer between fourth and fifth grades. A teammate, Wally Gregorson (I think), was hit in the face by a baseball. It broke his glasses, which cut his face pretty badly. Glasses were actually made of glass in those days and they weren’t shatterproof. Anyway, blood was everywhere. The next day, his eye was badly bruised, all black and blue, and he had a couple ugly black stitches below his eyebrow and a couple more on his cheekbone, but, he didn’t permanently injure anything. That was my last year in Little League for a number of reasons, but I think Wally’s injury and potential to have lost an eye affected me more than I care to admit. I never did play baseball again. I did play softball years later, when I was in the service (and that’s another story). Fall arrived and I entered the fifth grade at Parkview Elementary. Mrs. Anderson was my teacher. As I recall, she was young, tall, blond, pretty, and very nice. I think I had a crush on her. She saw a lot of potential in me and encouraged me to excel in school. I received great grades in both academics and citizenship from her. 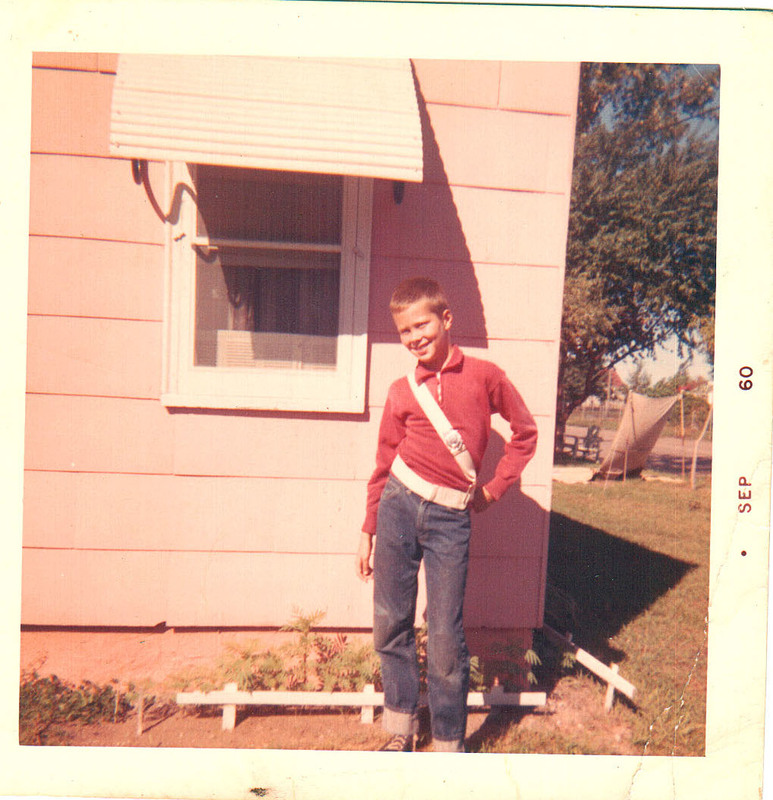 As an example, most of the school patrols were sixth graders, but Mrs. Anderson nominated me to be one of a handful of fifth graders to be on the school patrol. I’d leave class fifteen minutes early, put on my school patrol belt, pick up a stop flag, and hurry off to my designated intersection with another kid. We’d help the younger kids cross the streets safely on their walk home. After the school rush, we’d return our stop flags back to the school, leave our school patrol belts in a locker, and head home. Source: Personal PhotosIn the mornings, I’d usually get to school early, pick up both mine and my compadre’s patrol belts and our stop flags, go back to our designated intersection a good half an hour before school started, and have everything ready when my partner arrived. We’d flag the traffic as the other kids walked to school. It was a great responsibility. I am saddened that today we have adults doing school guard duties and we don’t foster that type of responsibility in our youth as we did in the 1950s and 60s. As I think about it, being a school patrol may have been the start to my being an early morning person. I became used to getting ready for school, leaving early, and always being where I needed to be long before I needed to be. Our house was about ¾ of a mile from school. I had to cross the very busy University Avenue on my way. I had to walk an extra block to cross at 61st Avenue in order to cross at a signal. Other than waiting for the light to cross University, it was always a nice walk. Of course, the dead of winter was an exception. As I recall, 61st Avenue was one of the few places that had sidewalks in those days, but many folks didn’t shovel them shoveled before we walked to school. I didn’t live in Fridley the entire fifth-grade school year. Some time in the spring we moved about four miles north to 83rd and Monroe in Spring Lake Park. Spring Lake Park didn’t have enough schools in 1961, so we were bussed from Spring Lake Park across Mounds View to the Twin Cities Arsenal (TCA) in Arden Hills. It wasn’t a long bus ride, maybe about 15 minutes down US Highway 10. Sitting in the very back of the bus was the coolest thing. The “ca-thunk, ca-thunk, ca-thunk” from the highway construction expansion joints almost sounded like we were riding on a train. The bus’s shocks were pretty worn so every cement expansion joint on Highway 10 got the bus to bounce. A bunch of us kids would jump up and down in unison with bus’s road bumps. By doing so, we could get the whole back of the bus bouncing and have a pretty fun ride. The school classrooms were in an old building at the TCA. It is my recollection that the ground-floor windows still had bars on them from when the building was an armory. Years later, I worked at the (then) Honeywell facility on the TCA, called the Twin Cities Army Ammunition Plant (TCAAP). While working there, I had the opportunity to go to the old school building for training. The Army converted most of the schoolrooms to offices, but many of the old classrooms looked much as they had twenty years earlier. If school officials had known then what we know now about ammunition-related heavy metals; copper, lead, and mercury, and depleted uranium contaminating the soil at the TCA, they would probably have sent us somewhere else. 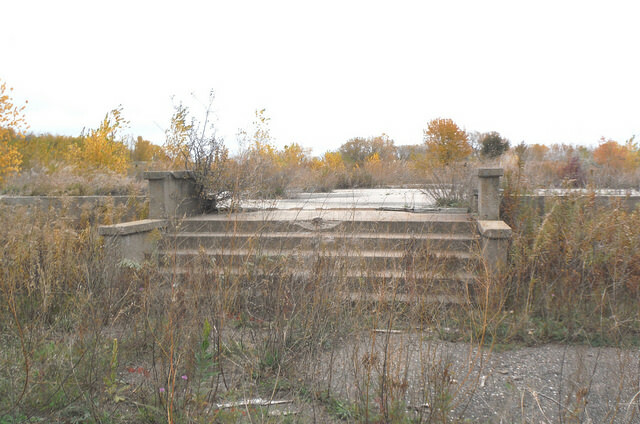 Anyway, the TCA site was cleaned up in the 1980s, 90s, and 2000s using a lot of EPA Superfund money. The buildings of the old TCA are mostly gone today. I continued with Spring Lake Park Elementary at the TCA for about half of the sixth grade. My mother married “Budgar” in December 1961, and we moved from the little one-bedroom house on Monroe in Spring Lake Park to a three-bedroom house on Fremont Avenue in North Minneapolis during the winter of 1961-1962. There, my mom and Budgar could have a room, grandma could have a room, and I could have a room of my own. It was the first bedroom that I remember having to myself. In Fridley, my bedroom was a closet and in Spring Lake Park, it was an unheated breezeway. Today, Parkview Elementary is the Fridley Community Center and the building at the TCA that housed the classrooms for Spring Lake Park is gone. My thanks to Randy Seaver and his blog, “Genea-Musings,” for the suggestion of writing about our fifth grade experiences. I found it fun to remember and reminisce. I haven’t thought Mrs. Peterson and Mrs. Anderson in decades, let alone Mark, Rodney, and Wally.